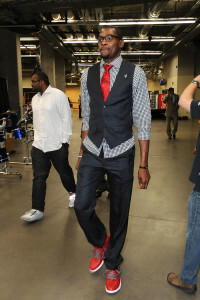 Perhaps no sport is more associated with fashion than the NBA. The competition among players to dress the best is fierce, and it’s become a big part of the news cycle surrounding the league. 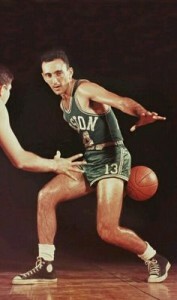 Players receive a lot of chances to flaunt their fashion choices. The most notable is the pre-game walk through the tunnel. Traveling to and from games, press conferences and other events provide opportunities as well. Over the last few decades though, the story of the NBA and fashion has moved beyond just pre-game and press conference outfits. Players such as Russell Westbrook and James Harden make regular appearances at world-famous fashion shows and on the covers of style magazines. Many players also have their own fashion lines and brand collaborations. Westbrook even wrote a book, titled Style Drivers, about his relationship with fashion. Kawhi Leonard is averaging a career-high 26 points per game for the Toronto Raptors. 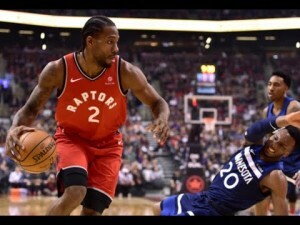 When the Toronto Raptors made the blockbuster trade during the summer to bring Kawhi Leonard to the Eastern Conference there was an expectation that it could help them “get over the hump” after getting close in recent years, but even live betting with Novibet couldn’t have predicted that a quarter way through the NBA season they would be the favorites to claim the 2019 NBA Championship. Not only do the Raptors have a league-best 23-7 overall record, but they have swept the season series from the two-time defending champion Golden State Warriors. Their 113-93 win at Golden State earlier this week was impressive not just because of the dominant nature, but because the Raptors played the game without Leonard while the Warriors were at full strength with their four All-Stars all in the starting lineup. 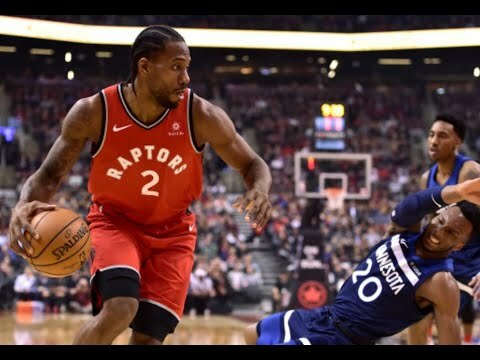 With Leonard, who is averaging a team-best 26 points per game, out of the lineup, the Raptors had a balanced attack that proved too much for the Warriors to overcome. Leading the way for the Raptors was four-time All-Star point guard Kyle Lowry. He scored a team-high 23 points while also dishing out 12 assists, grabbing five rebounds and securing three steals. Another player who has been great all season and continued that trend against the Warriors was center Serge Ibalka. The 10-year veteran is averaging a career-high 16.8 points per game this season and had 20 points with 12 rebounds in the victory. The other three starters, Danny Green, Pascal Siakam and Fred VanVleet, scored 15, 13 and 10 points respectively to give the Raptors five double-digit scorers. The bench also played an important role with 32 points divided amongst six players. That boxscore is consistent with how the Raptors have been winning throughout the season. The Boston Celtics traded prior to the 2017-2018 season for All-Star point guard Kyrie Irving, but the Sports Then and Now Vintage Athlete of the Month was the first in a long line of superstars to play for the Boston Celtics. 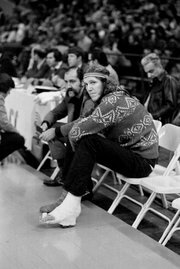 Bill Walton was never able to achieve his full potential in the NBA due to foot injuries. Sprinting and jumping, two of the most frequent activities in professional basketball, are very hard on the feet. And it’s not just the activities on NBA game days. By the time athletes reach that level, their feet have already undergone years of pounding in practices and games since they were teenagers. Although foot injuries are much more serious when you sprint and jump for a living, these wounds are not limited to top professional athletes. In fact, they are quite common, especially among active people. While your options are usually limited in terms of correcting the injury, it’s always a good idea to follow a doctor’s orders. There are some choices available in terms of recovery including physical therapy, surgery, and bracing. Instead of just any device, use one of these top shoes for foot injuries. They not only hasten your recovery but also add comfortable and maneuverability while you are laid up. A foot injury transformed one of the most dominating forces on the hardwood into one of its most prolific towel-waving cheerleaders. Then again, Mr. Walton was always quite a contrast. 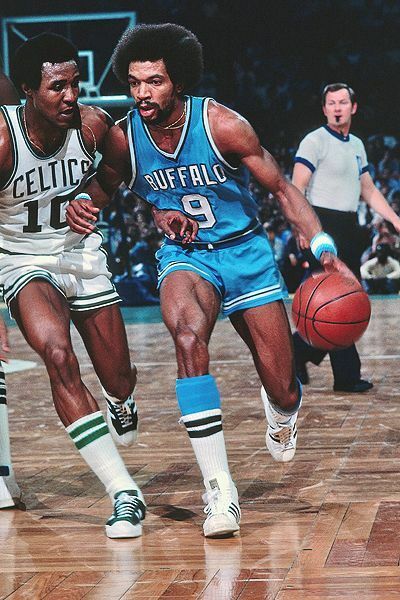 In college, he was the best player on those unbeatable John Wooden-led UCLA teams. In the 1973 title game, Mr. Walton almost literally beat Memphis State all by himself, scoring 44 points on 21-of-22 shooting in an 87-66 win. It was without a doubt one of the greatest comebacks of all time. And that includes the incredible Liverpool comeback in the 2005 Champions League Final. In fact, it was so thrilling that even the most casual of basketball fans will probably be able to tell you where they were when the Celtics put in one of the most heroic performances the NBA has ever seen. 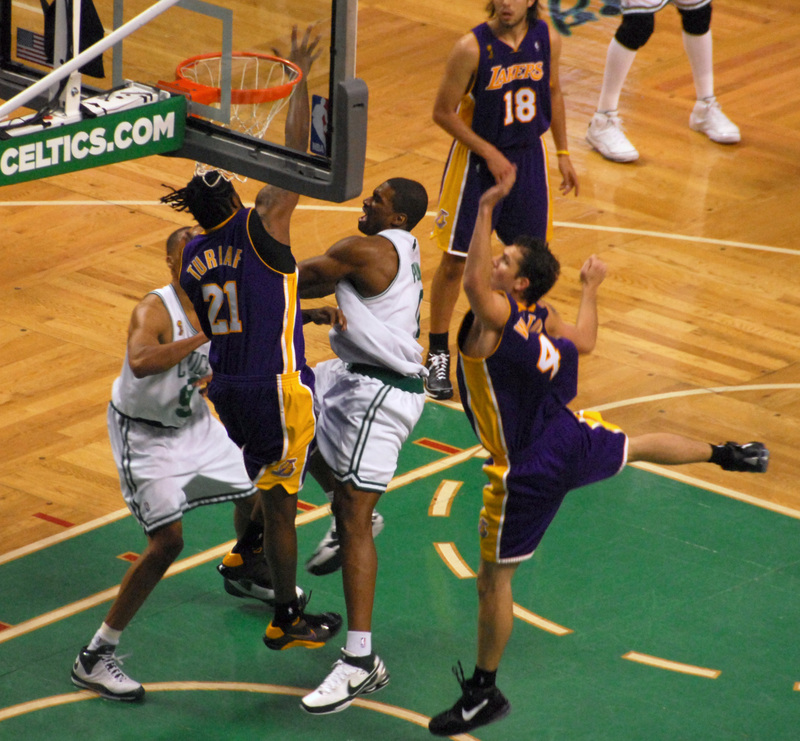 It was 2008, and the Boston Celtics, with fresh recruits Kevin Garnett and Ray Allen, had made it to the Championship Finals. They faced their age-old rivals the LA Lakers in what many neutrals billed as the Finals matchup of the century. The Celtics went into the Finals series as the record holders for most NBA Championships, yet it had been 22 years since their last win. The Lakers were second to the Celtics in terms of Championships won, but that didn’t stop them from being the favorites.